Mercy Counts Records artists; Freeze, Xplizt and DJ Docta Damnage have to come together to bring a resurgence to their group Beyond Top Secret. The group brings a darker tone and delivers a horrorcore punch. Their latest album, “Destroy and Rebuild,” dropped today February 16th and you can pick up a copy now through the links below. Although it’s short notice, they do have a release party scheduled February 16th, the same day the album comes out. 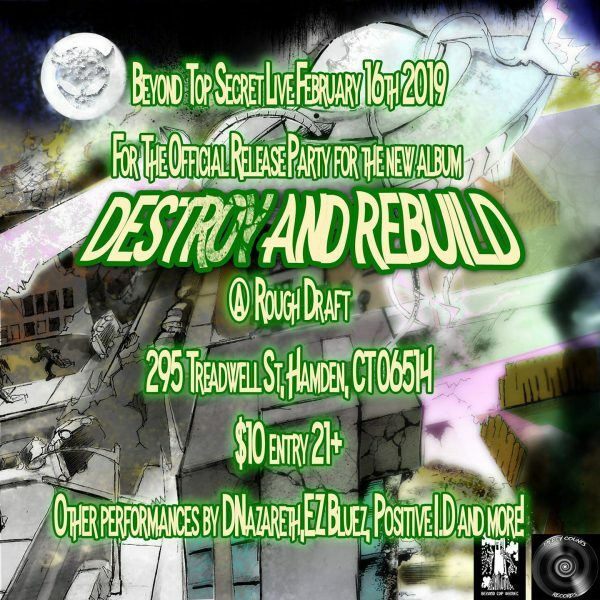 It will be held in Hamden, Connecticut @ The Rough Draft. You can also check out the latest Underground Spotlight interview with both Freeze and Xplizt of Beyond Top Secret, which I will link below.